For hundreds of years the emerald-like mountain areas of what is now Kyrgyzstan have been the realms of nomads, who moved according to the seasons. 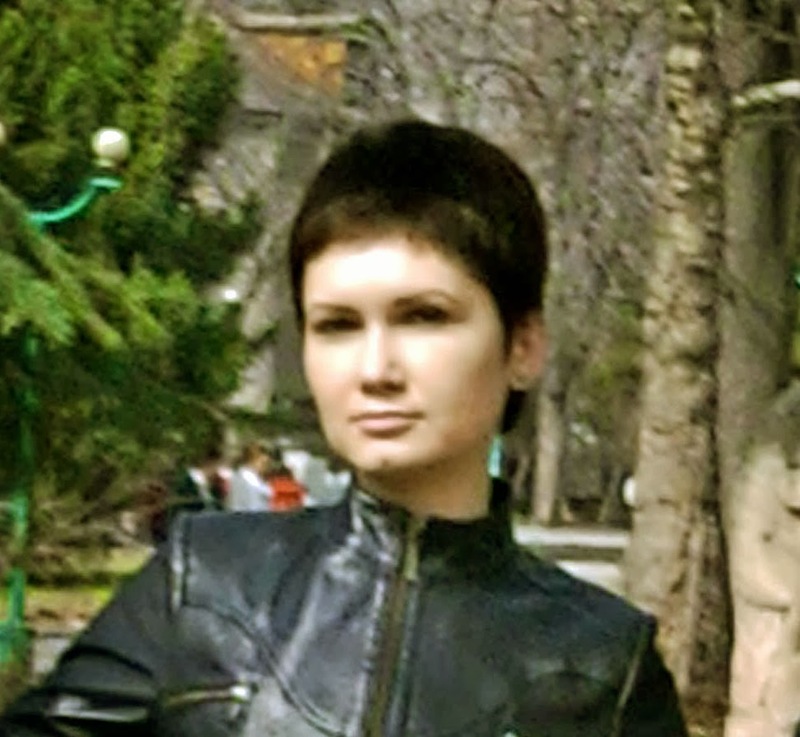 There are few historical monuments in Kyrgyzstan, however, those that remain are architectural jewels. One of these is Burana Tower, about 80 kms east of the capital, Bishkek. At the beginning of the 10th century the Karakhanid dynasty came to power in the Semirechie region and the central Tien Shan mountains area. The Karakhanid khanate was the largest feudal state in Central Asia from the 10th to 12th centuries AD. 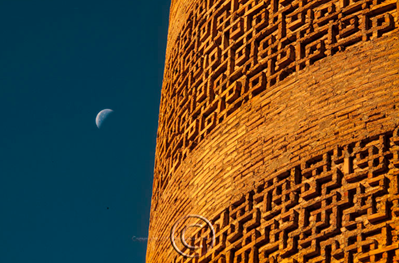 The minaret is almost all that remains of Balasagun, the Karakhanid’s capital on the Silk Road. It is located 12 kms south of present day Tokmok town, in the Chui Valley. It was the birthplace of the eminent Turkic scholar and philosopher Yusuf al-Balasaguni, from whom the town received its name. Yusuf Balasaguni created the first Turkic didactic treatise – Kutadgu Bilig (The Beneficent Knowledge). In the poem the author deals with questions of politics, state administration, standards of conduct, and sense of life. At the same time, the book is a mine of popular wisdom, and a valuable source to study the history, culture and life of Central Asian people. In 950 AD Satuk Bogra-Khan became the ruler of Balasagun. He heeded the persuasions of the Sufi missionaries, and appeared to be the first among the Karakhanid aristocracy who converted to Islam. Later, in 960 AD, his son Musa Baitash, proclaimed Islam as the official state religion in the Karakhanid Empire. Balasagun did not suffer during the Mongol invasions of Central Asia in the 13th century. The population practised Buddhism, Manichean and Nestorian Christianity, Zoroastrianism, and the cult of Tengri (paganism). The Mongols announced religious tolerance and equality and so the Balasagun town dwellers opened the gates and let the Mongol detachment enter the settlement. In memory of that peaceful invasion, the settlement received a new name – Gobalyk, which means "Good Town". Gradually, however, the town lost its importance and by the 15th century it was almost extinct. The Soviets undertook major exploratory excavations at the site in the 1920s, 1950s and 1970s. The surveys revealed a palace complex, dynastic cemetery, water supply channel, bathhouse, and urban areas that included clusters of dwelling units, shops and workshops. The medieval settlement consisted of a tetragonal stronghold, representing the central part of the town. A large area surrounded it. The total area covered by the settlement was 25-30 square kms. Today you can see the ruins of the palace complex or temple, which existed before the 10th century, i.e. before the settlement foundation. Also, near the tower it is possible to see the foundations of three mausoleums, and 150 meters to the northwest from the ruins of the palace complex, traces of a monumental structure. Based on the results of the excavations, it was found that the tower was built in the first half of the 11th century AD. 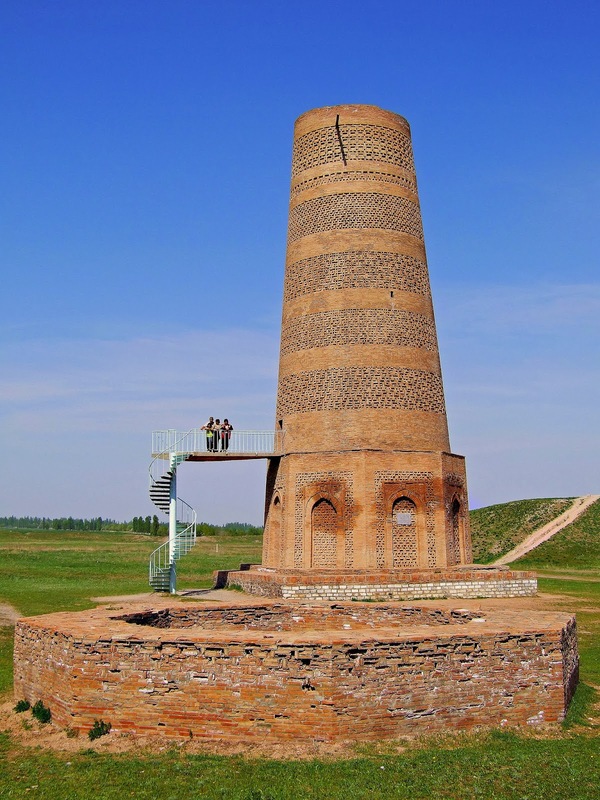 Burana tower is considered to be one of the first structures of its type on the territory of Central Asia. Scholars presuppose that the mosque sided with the tower from the west. Access to the minaret would have been through the mosque’s roof or by removable stairs. The tower was 45 meters high and built from burnt bricks on gypsum and clay mortar. The top of the minaret was crowned by a cupola-lantern, which was destroyed during one of the powerful earthquakes in the 15th century. Today the minaret is 24.7 metres high. 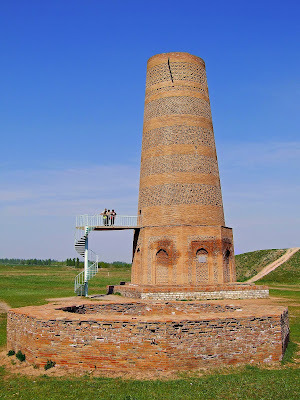 A visit to Burana Tower is part of all Uzbek Journeys tours to Kyrgyzstan. If you visit in spring, the fields it stands in are often covered in red poppies. There is a small museum and shop, which sells books on Kyrgyz craft in English. 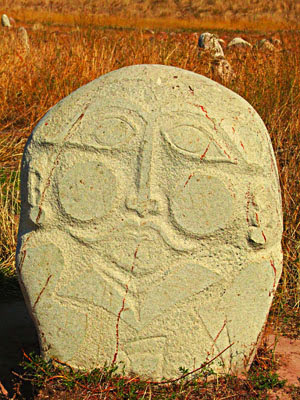 There is also an open-air museum of balbals – grave statues – moved here from different regions of Kyrgyzstan.